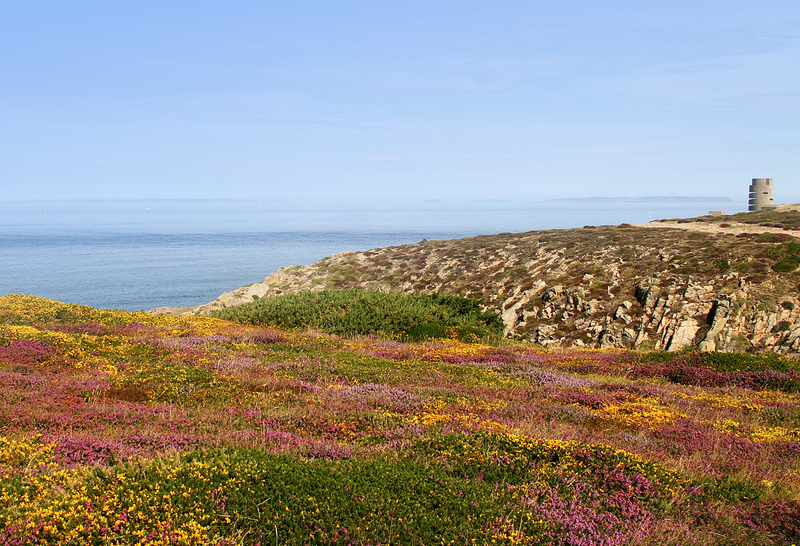 Back to Work and the National Trust for Jersey joined forces in March and launched a new volunteer scheme to undertake a wide range of conservation tasks and provide placements and skills training for locally qualified jobseekers. The volunteer scheme, which has seen some 60 jobseekers improve their employability by completing a diverse range of projects from meadow restoration to maintenance of Trust properties, is among a number of projects being run by Back to Work. In July a small team of jobseekers, supervised by Piers Sangan (Sangan Island Conservation Ltd.), were hard at work preparing ground and erecting sheep fencing up at Sorel. 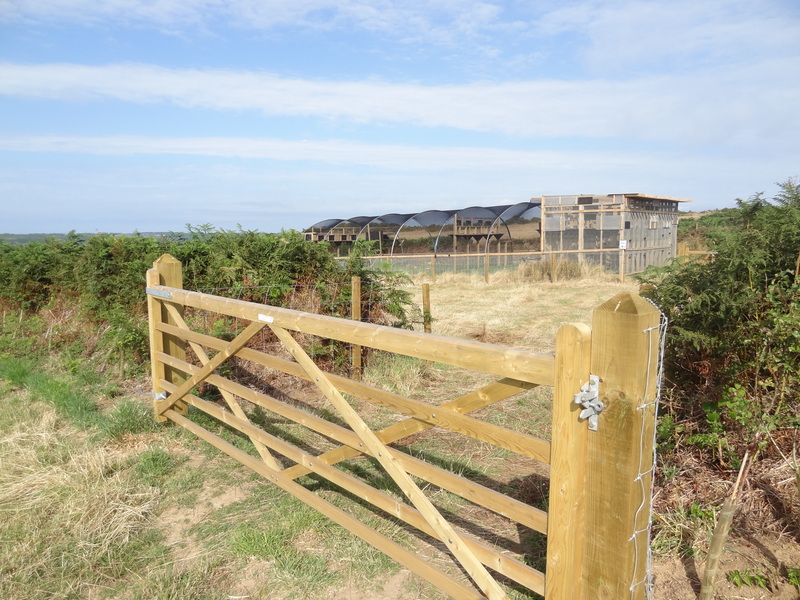 Two fields, owned by the National Trust, were sown with grass seed last year with the intention of providing extra grazing sites for the Manx Loaghtan sheep. 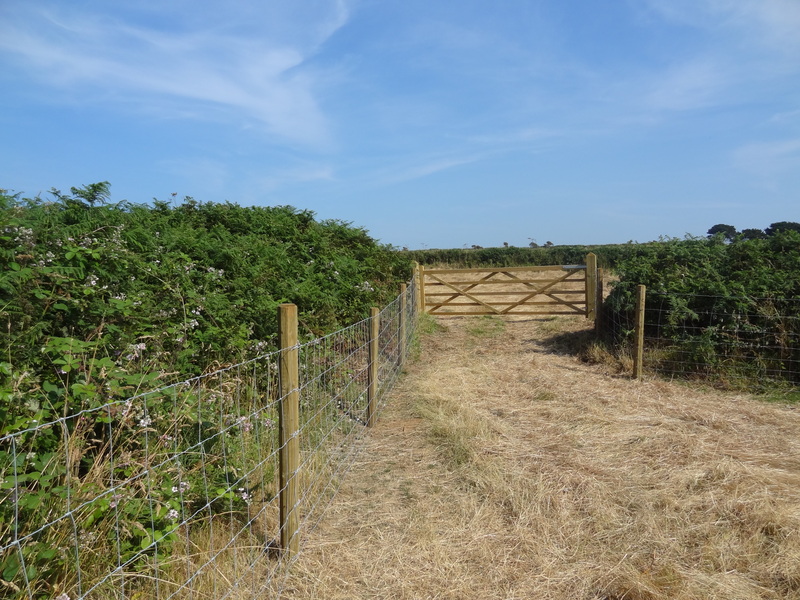 However, the perimeters of the fields needed to be secured with fencing before the sheep could be moved in. 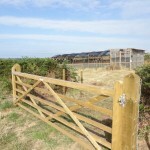 One of those fields is the site of the chough release aviary and, therefore, the sheep fencing serves a dual purpose. Keep the sheep from straying and keep the sheep from the aviary! Whilst Manx Loaghtans are a mild mannered animal they will eat their way through just about anything and everything. The team did a great job working in some of the hottest conditions of the year to date. Hopefully, the sheep will be able to reap the benefits of everyone’s hard labour in preparing the fields. The Back to Work team is based at Social Security and was set up in response to rising unemployment in the Island. It administers all government employment schemes and explores new initiatives to reduce unemployment by working with employers and locally qualified jobseekers to provide sustainable employment opportunities.